I hope you're not bored of seeing my Budapest holiday photos. I took 500+ so wanted to share them over a few posts. I've already shared some photos of my apartment, the basilica and the Christmas markets but this post is all about Andrássy Avenue. The elegant Andrássy Avenue is one of Budapest's major cultural hubs with lots of high end shops, museums, theatres and examples of beautiful architecture. The 2.5 km long Andrássy Avenue connects City Park (Városliget) with the city centre. 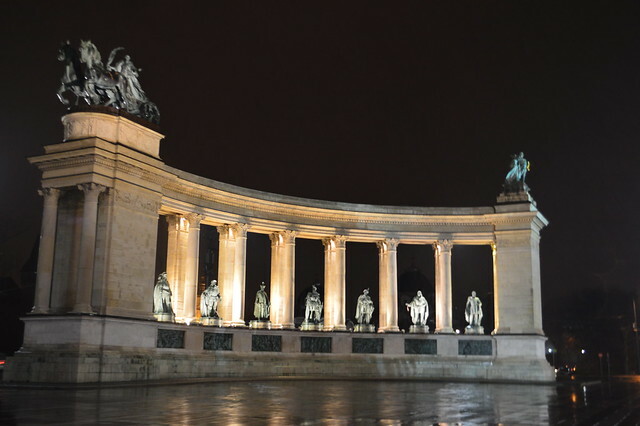 Due to its historic and cultural nature Andrássy Avenue was declared a World Heritage Site in 2002. We spent a lot of time in this area because there was so much to see and do there. Part of the Millennium Underground (M1 metro), the first continental metro line in Europe (built between 1894-96), runs parallel with Andrássy út with stations at Heroes' Square and the Opera. I loved travelling on this metro line, the stations look like they have been untouched since they were built and it's nothing like the one in Paris or London. 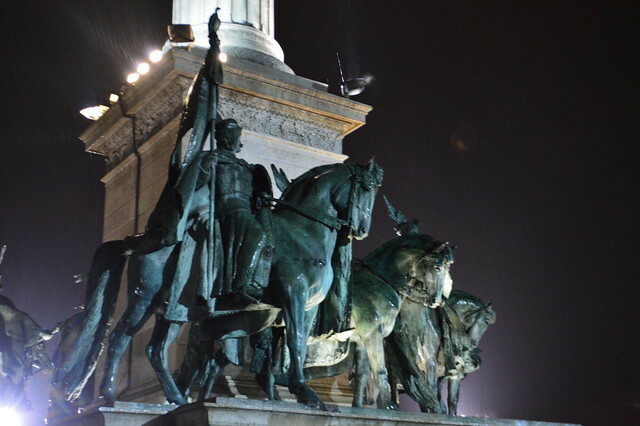 The northeastern end of Andrássy út is dominated by Heroes’ Square. 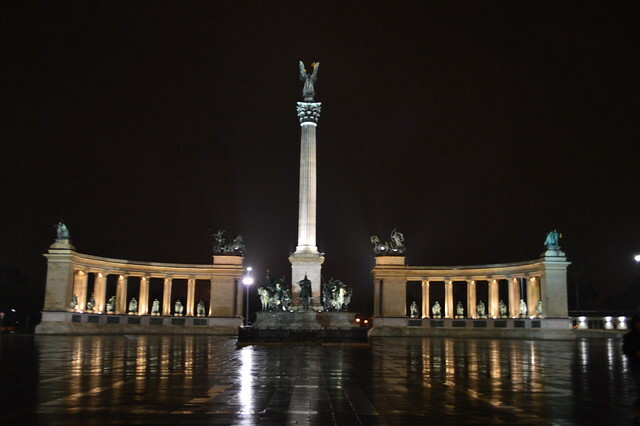 The central pillar is defended by massive statues of the seven tribal chiefs who claimed the region in the 9th century, while the angel Gabriel floats above them all with the Hungarian cross and crown in his hands. Two colonnades flank the pillar, each holding seven statues of important rulers and statesmen, from Saint Stephen, the first king of Hungary, to Lajos Kossuth, leader of a 19th century revolution against the Hapsburgs. It was about -4 and raining heavily the night we visited the square to see it all lit up, hence my less than impressed face. 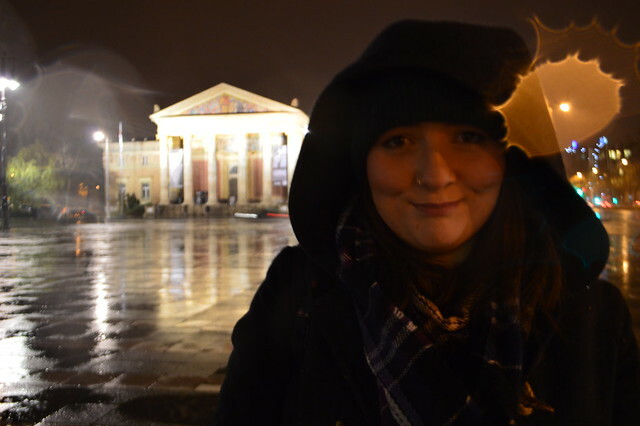 If you're going to visit Budapest in winter wrap up warm and don't worry about looking chic. Layers and sheepskin lined boots with thermal vests are the way to go. My shoes were also leaking at this point. definitely take some sturdy and warm boots like these sheepskin lined ones. 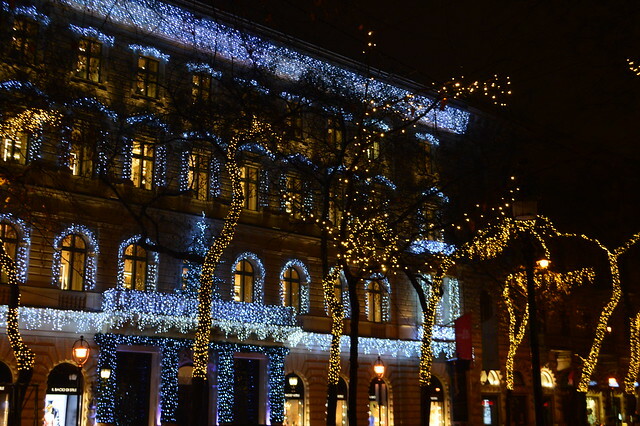 All the department stores were lit up so beautifully along this street, the Hungarians really know how to hang fairy lights. 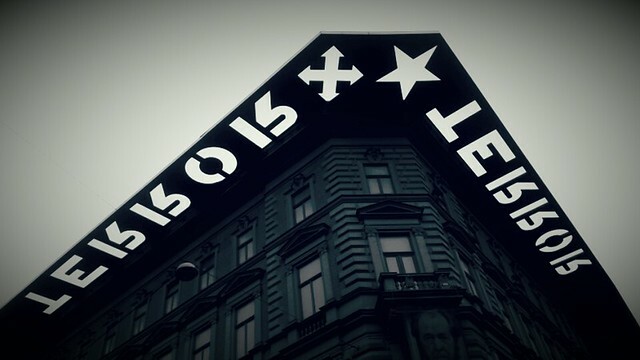 In stark contest to the beauty of this historic street is the House of Terror. It's a museum dedicated to Hungary’s dark years when it supported Germany during both World Wars and when it was a Soviet state. The building was once the headquarters for the secret police and a focal point for the reign of terror that gripped Hungary during the 1950s. Exhibits on the museum’s top two floors show what life was like in Hungary after World War II and the persecution many faced during the Soviet occupation. In the basement are reconstructed prison cells, where “enemies” of the communist state were detained, tortured and often killed. Budapest has really made huge steps since the fall of Communism and it's easy to forget what life was like here only a couple of decades ago. I would highly recommend a visit to the museum but hire the audio guide because none of the exhibits are translated into English. Martyn and I visited the Miniversum because we are both big kids and train geeks. 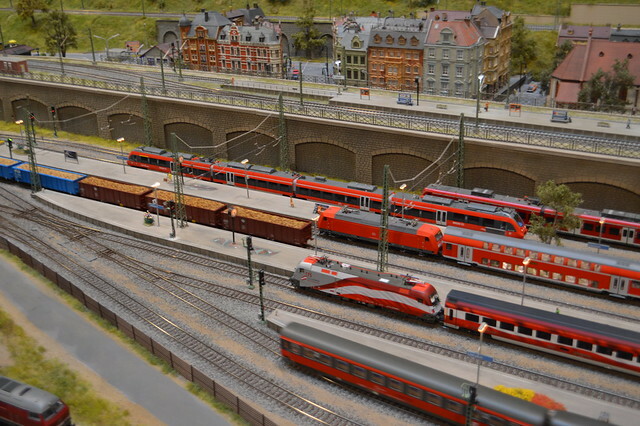 A whole mini- Budapest and Europe has been set up and can be explored on the rail models.It was a fun way to spend an hour and kids or anyone interested in trains would love it. The highlight of Andrássy Avenue for me was the Szechenyi Baths. Szechenyi Spa Baths in Budapest is one of the best and largest spa baths in Europe with 15 indoor baths and 3 grand outdoor pools. It cost under £15 to visit and we had hours of relaxing fun in the outdoor heated pools. It was an odd sensation sitting in 37 degrees water when it was -2 from the head up. 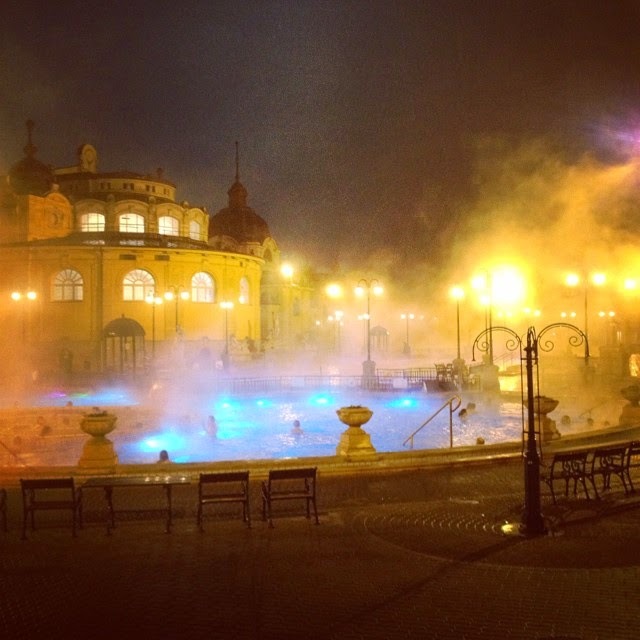 I would highly recommend a visit here or to the Gellert Baths on the other side of town. I'm really longing to return to Budapest and have another holiday. I've got a week in West Wales in early March so I've not go too long to wait for a break. Have you planned any exciting holidays for 2015? Oh wow your pictures really are so beautiful and those fairy lights - I really want to go. oh wow, what a lovely place to visit - amazing photos. For some reason Budapest isn't somewhere I'd ever considered for a mini break, but it will be now. Your photos are amazing, It really makes me want to visit again. Agree with the comments about dressing for the cold in winter. We went in November and it was freezing!